At Kenny i Entertainment, we have more than three decades of experience offering the surrounding areas of Philadelphia and Atlantic City live music entertainment. We select the right band that fits your event perfectly. If you are interested, please speak with our friendly representatives to inquire. 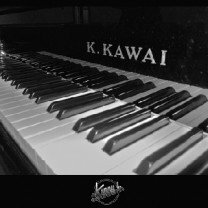 Power Single/Duo/Trio: Perfect for the smaller event, restaurant, or cocktail hour, these versatile small groups perform with accompaniment tracks to sound like the original recording while staying within your budget, and yet featuring live performers. Harp and Flute: Our harp and flute performers are an extremely elegant presentation. It works well for wedding ceremonies and cocktail hours. This combination is appropriate for an elegant dinner setting. String Trio/ Quartet: There’s nothing like the “class” of a string ensemble. Its very presence brings an air of elegance and dignity to any event. From Mozart to Love Songs to Broadway, our String Trios/Quartets add the sparkle to an event that your friends will remember for years to come. Jazz Trio/ Quartet: The classic Jazz Trio/Quartet plays Jazz & Swing standards from the 1930′s to the 1960′s. The trio instrumentation can include keyboard, bass, and drums or guitar, bass, and drums. Ideally the fourth instrument is saxophone. Piano, Violin and Vocal: Simple, classy, and elegant. This combination has your background music covered from the instrumentals to the vocals. A wide variety of selections are available that can include Broadway, Standards, Jazz, Love Songs, Classical, and others. Band/DJ Combo: Our Live Band/DJ Combo offers the best of both worlds! The Band and Dynamic DJs perform as a combo to offer our clients the choice of both services for their special event. For more information about our custom music ensembles and live music entertainment, call us at (609) 927-3737!